A great quick dinner idea, perfect for when you get in from work and you need some fast, healthy food. 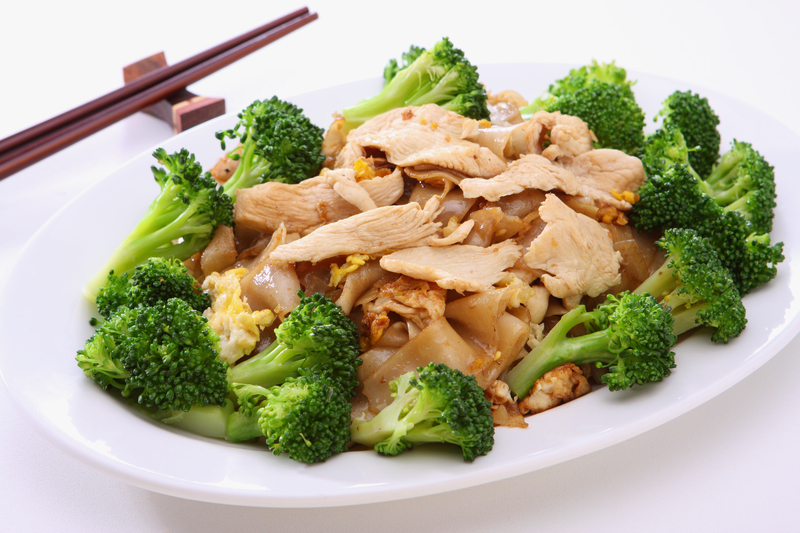 Kids love chicken and broccoli and this simple, tasty dish is gluten-free and low carb. Add the juice of ½ lemon and freshly ground black pepper to Massel Concentrated Liquid Stock. Toss chicken slices in the mixture and marinate for about 20 minutes. Heat oil in non-stick pan and stir-fry the chicken slices. Remove to plate. Add broccoli florets to juices in the frypan, sautéing them quickly. Sprinkle with Massel All-Purpose Bouillon & Seasoning Granules. Add the water while stirring and then simmer for 1-2 minutes. Place around the chicken on serving plate. Prepare store-bought gravy or your own gluten-free gravy according to instructions. Pour the gravy on your chicken and broccoli. Serve and enjoy!